The eyes of the world were on London in 2011, with a royal wedding attracting a global audience of almost two billion. We celebrated with our own special union, bringing together the year’s finest malt and hops in a commemorative Vintage Ale. An opening aroma of Maraschino cherries is underlain with Mandarin orange notes. These are carried through to the initial palate, enhanced with a fruity malt and warming aftertaste. Hidden in the cellars of Griffin Brewery, twenty fine cognac casks sat silently for a year. 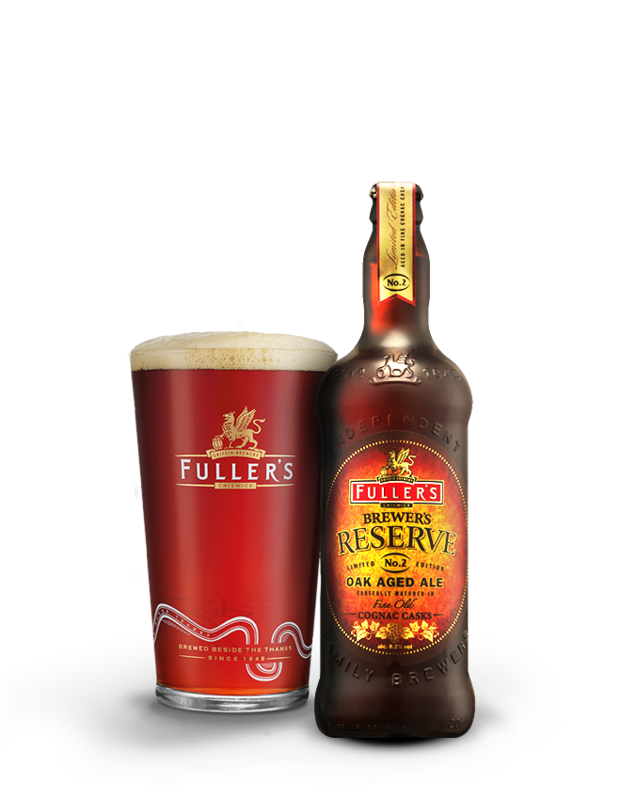 Inside them wasn’t brandy, but beer – Fuller’s Brewer’s Reserve No.2 – slowly but surely absorbing luxurious flavours from the solid oak surroundings.